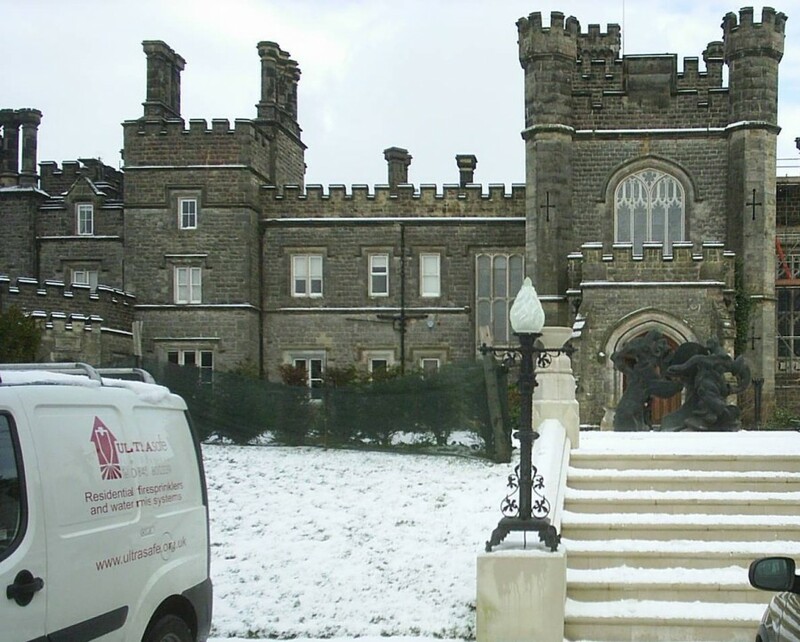 Fairlight Hall is a Victorian Gothic Mansion that was built in 1855. It is an impressive building, majestically set overlooking the English Channel. In 2002 the present owners undertook major infrastructure repairs to the main building; they even deployed considerable resources to restore the “Castle Folly” (influenced by Hastings castle which featured in many Hammer Horror films). The properties current location was, however, too far from the highway and its remote location would restrict any fire and rescue access. Due to the remote location we designed, installed and commissioned three Low Flow Stored Pressure fire sprinkler systems. This was seen as an acceptable trade off by the local Authority Having Jurisdiction. The vaults of the property provided a warm and safe envelope for the low flow systems, ensuring minimal aesthetical impact on this hugely historic and haunting building. Other bespoke properties in our portfolio include: A multi-million pound Mansion in Virginia Water, Surrey. A water tower , a grade I listed office block in Knightsbridge, two heritage awarded Public Houses with restaurants in Hastings and East Grinstead.